Security Memetics: Would You Like CALC.EXE With That? 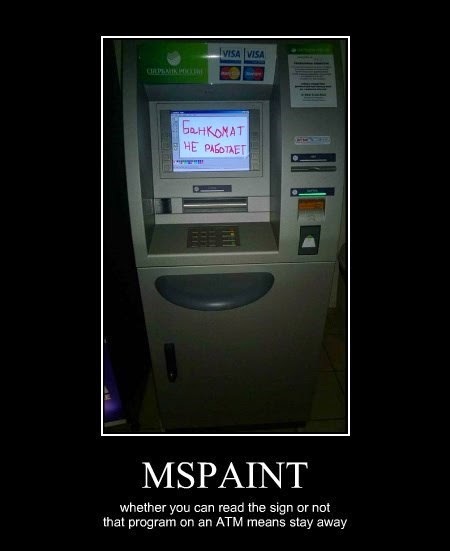 Thanks to Mark Russinovich for tweeting the photo of an ATM in Kiev. I think it's probably safe to assume most people can tell straight away that MSPAINT on the ATM screen is all kinds of wrong so I'd say that's a good way to warn people to not use the device. And no, I am not Russian, nor is Russian my mother tongue.